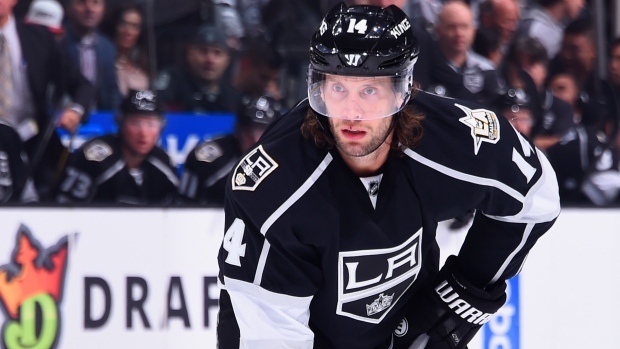 WASHINGTON — The Washington Capitals have acquired defenceman Tom Gilbert from the Los Angeles Kings for a conditional draft pick. Capitals general manager Brian MacLellan announced the deal Wednesday with the team on its bye week. Los Angeles retains 20 per cent of Gilbert's salary in the deal, which hinges on Washington's playoff success and Gilbert's involvement. The Kings get a 2017 fifth-round pick if the Capitals win two or more playoff rounds and Gilbert plays in 50 per cent or more of those games. If those conditions are not met, Washington won't send anything. The 34-year-old Gilbert has one goal and four assists in 18 NHL games with the Kings this season. He cleared waivers earlier this month and will report to the AHL's Hershey Bears.